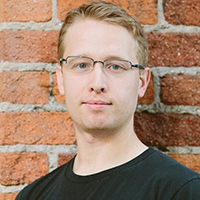 Andrew Blaich is a security researcher at Lookout where he is focused on the securing, responding, and defending of all things mobile. Prior to Lookout, Andrew was the Lead Security Analyst at Bluebox Security. He holds a Ph.D. in computer science, and engineering from the University of Notre Dame in enterprise security. In the past Andrew has worked at both Samsung and Qualcomm Research. Andrew was the head of research for Bluebox Labs and is a frequent presenter at security conferences including RSA.